ROYAL GEORGE RELIC....A SMALL BOOK BOUND IN HER TIMBER. 2 3/4" x 4 3/8" with dark oak covers sawn from timbers recovered from Spithead where the vessel sank in 1782. 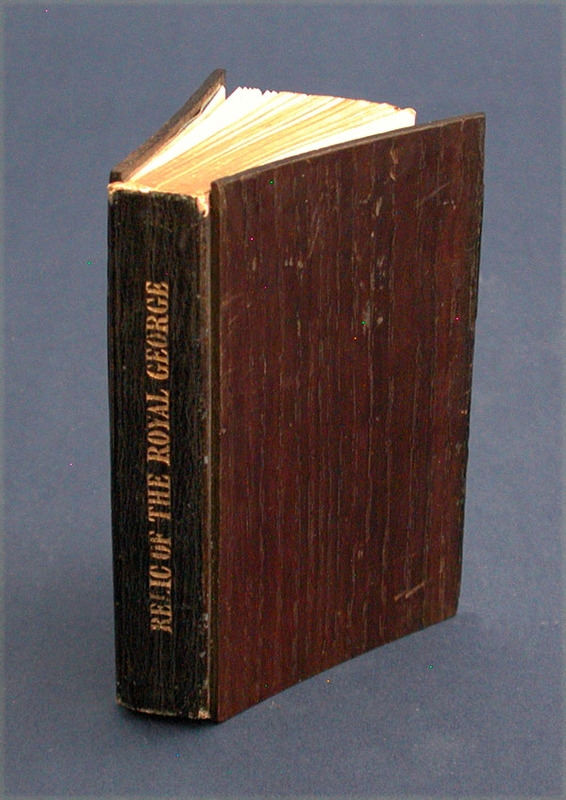 Leather spine with gilt lettering "RELIC OF THE ROYAL GEORGE". 168+ gilt edged pages. Tells detailed story of the loss and recovery efforts of this famous warship. Several fine illustrations including one opposite the title page that folds out and depicts the tragedy happening. Several times at beginning there is mention that the covers are from the vessel's timber. 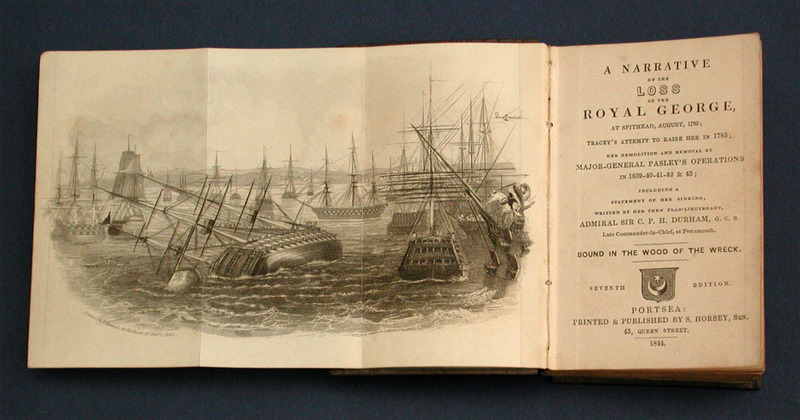 Detailed title page that reads "A NARRATIVE of the LOSS of the ROYAL GEORGE at Spithead, August, 1782...BOUND IN THE WOOD OF THE WRECK....1844". Condition superb throughout. Over the years we've had numerous relics from this vessel including canes, small cannons, etc., all being of superb quality and very collectible. Because it tells the entire story this piece should be the cornerstone of any Royal George collection.